In Professor Steve Mann- inventor, physicist, engineer, mathematician, scientist, designer, developer, project director, filmmaker, artist, instrumentalist, author, photographer, actor, activist- we see so much of the paradigmatic classical Greek philosopher. I recall asking Steve if technology shaped society or society shaped technology. He replied along the lines that the question was superfluous. Steve instead pointed to praxis, from which all theory, lessons or skills stem, are practiced, embodied and realized. Steve has always been preoccupied by the application of his ideas into form. In this way too, he can be considered a modern day Leonardo Da Vinci. It is not surprising that Professor Mann was awarded the 2004 Leonardo Award for Excellence (Leonardo, 2004). In his winning article he presented “Existential Technology” as a new category of in(ter)ventions and as a new theoretical framework for understanding privacy and identity (Mann, 2003). At the time, Mann had written more than 200 research publications already, and was the keynote speaker at numerous industry symposia and conferences. His work had also been shown in museums globally, including the Museum of Modern Art in New York, the Stedelijk Museum in Amsterdam and the Triennale di Milano (Quillian, 2004). I embarked on my PhD in 1997, the same year in which Steve graduated with a PhD in Media Arts and Sciences from MIT under the supervision of Professor Rosalind Picard and MIT Media Lab creator and director Professor Nicholas Negroponte. I remembered being amazed by the research Steve was engaged in, particularly his insights into wearable computing, and thinking all at once what incredible uses the technologies he was developing could have but also what they might mean in terms of the social implications. At that time I was working for Nortel Networks as a network planner and strategically positioning big pipes throughout the world in anticipation of the big data that was coming through IP-based applications. Few, however, could have possibly have imagined that people would be willingly creating lifelogs (or cyborg logs) through the act of glogging (PCMag, 2012), another Mann discovery, and uploading them in real-time through wireless technology, every minute of every hour of every day (Mann, 1995). 4G will make glogging even easier. Presently, there are over 165,000 gloggers at http://glogger.mobi. At the beginning of 2009, my close collaborator Dr MG Michael and I decided to explore the idea of glogging, inspired by correspondence with Steve on his notion of existential education (ExistEd), fig. 1, first officially demonstrated in 1998 (Mann, 1998). We asked our class of 163 undergraduate and postgraduate students in a compulsory computer ethics course to take part in some personal field work through the use of glogger.mobi. Examples from this class can be found in Table 1. We wanted to see sousveillance acted out before us, what its limits were, if any, and we wanted to do it without having sought prior Human Research Ethics Committee approval. · a handful of students who possibly went too far and filmed or photographed sensitive data such as Automatic Teller Machines (ATMs) at point blank, or other very personal activities they were engaged in. (a) to record visually or observe a private activity to which that person is not a party; or (b) to record visually a private activity to which that person is a party. As Roger Clarke (2012b) has pointed out, this act: “seems to mean that, although you can audio-record your own conversations with other people, you can't *video*-record them… That has serious implications for sousveillance, i.e. the use of surveillance by the less powerful, when dealing with the more powerful”. It was in preparation for our class that we discussed the ultimate trajectory of wearables and implantables with Steve, finding his work on the existentiality axis (fig. 2) to be critical (Mann, 2001; Mann, 1998). It just so happened at the time we were corresponding, that Steve was working on a project with the Eyeborg Man, Rob Spence (Spence, 2008) and we were in full preparation to host the International Symposium on Technology and Society (ISTAS10) at the University of Wollongong which had as one of its major themes microchip implants for humans (UOW, 2010; Michael, 2011). Researcher Mark Gasson and Mr Amal Graafstra, both bearers of chip implants spoke on their experience of being radio-frequency identification (RFID) implantees at the symposium. It was during this time that the interface between sousveillance and uberveillance began to emerge. On the one hand, you had camera technologies that people wore to conduct surveillance “from below”, and on the other we had proposed in 2006 that embedded systems, such as implantables, would one day do the surveilling “from within”. It was in the Eyeborg’s ‘implantable’ camera that sousveillance came face-to-face with überveillance (Michael and Michael, 2009). In fig. 3, the various veillances are depicted in a triquetra by Mr Alexander Hayes. Taken away from the context of learning and reflection, a wearable (or implantable) camera worn by any citizen carries with it significant and deep personal and societal implications. The photoborg may feel entirely free, a master of his/her own destiny; they may even feel safe that their point of view is being noted for re-use, if needed at a later time. Indeed, the power the photoborg presumes when they put on the camera or bear the implant, can be considered even more powerful than the traditional CCTV overhead gazing in an unrestricted manner. But no matter how one looks at it, others will inevitably be in the field of view of the wearer or bearer of technology, and unless these fellow citizens also become photoborgs themselves, there will always be inequality. Steve’s sousveillance carries with it huge political, educational, environmental and spiritual overtones. The narrative which informs sousveillance is more relevant today due to the proliferation of new media, than ever before. But wherein sousveillance grants the citizen the ability to combat the powerful using their own strategic game, it also grants other citizens the ability to put on the guise of the powerful. Sousveillance here is in the eye of the beholder, the one wearing the camera. In the end it comes down to lifeworld and context and stakeholder types. What we all agree on however, is the pervasiveness of the camera, that sees everything, hears everything but comes endowed with obvious limitations such as the potential for the impairment of data, through data loss, data manipulation, or misrepresentation. It simply goes to show how any discovery can be tailored toward any ends. Glogging was meant to sustain the power of the individual, to enable growth, maturity and development in the person. Here, it has been hi-jacked by the very same stakeholder it was created to gain protection from. Many would ask are we playing into the hands of such initiatives as DARPA’s Lifelog program by researching sousveillance and uberveillance. The answer to this is simple- the natural trajectory of these technologies would have propelled us there regardless. If it were not Steve Mann, then someone else would have at some given point in time discovered the true capabilities of sousveillance- better for it to have been Mann who embraces genuine discussion on issues related to privacy and identity. Mid-way through 2011, MG and I decided we would host an international workshop on Sousveillance and Point of View (POV) Technologies in Law Enforcement as our sixth workshop in the Social Implications of National Security series (Michael and Michael, 2012) which started as an initiative under the Australian Research Council’s (ARC) Research Network for a Secure Australia (RNSA). 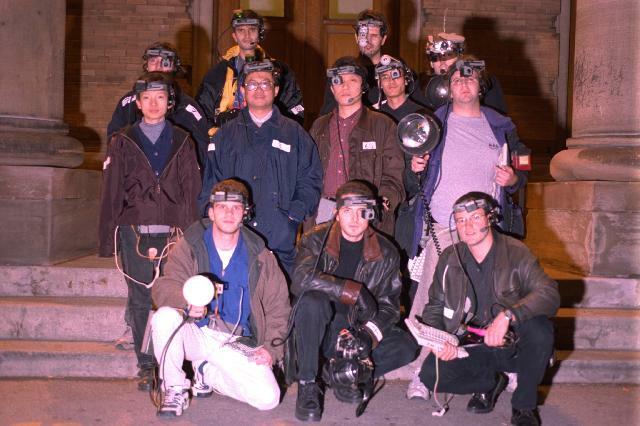 The workshop was hosted on the 22 February 2012, exactly 17 years after Mann uploaded his wearable webcam images of MIT’s east campus fire as a “roving reporter.” But rather than just focusing on sousveillance, the workshop also emphasised the rise of crowd-sourced sousveillance, citizen rights, body-worn technologies and just-in-time policing. The workshop investigated the use of sousveillance by law enforcement for evidence-based gathering as well as its use against law enforcement by everyday citizens. The ways in which we have witnessed the proliferation of overt and covert surveillance technologies has set the stage for the re-evaluation of existing laws and practices. Over 50 delegates attended (fig. 5) including former Privacy Commissioners of Australia, prosecutors and barristers of the high court, members of the Queensland and Victorian police, private investigators, spy equipment vendors (fig. 6), National Information and Communications Technologies Australia (NICTA) representatives, educational technologists (fig. 7), the Commissioner for Law Enforcement Data Security, members of the Australian Privacy Foundation, artists (fig. 8) and academics from across the country. A highlight of the workshop was the attendance of well-known Canadian sociologists Professors Kevin Haggerty and David Lyon, who gave a keynote address and invited paper (fig. 6). Professor Haggerty spoke on the ‘Monitoring of Police by Police’ and Professor Lyon on the concept of the ‘Omniscient Gaze’ (Bradwell, 2012) (fig. 9). Figure 5. Delegates at the International Workshop on Sousveillance in Australia. Courtesy of Alexander Hayes. See: http://www.flickr.com/photos/mobology/6918679567/in/set-72157629143582590 and FIVE attachment. Figure 7. Mr Alexander Hayes speaking about Professor Steve Mann and sousveillance during his presentation on POV and Education. Courtesy of Katina Michael. See attachment. In addressing the audience with opening remarks on the workshop’s conception, I began with defining sousveillance and then went on to demonstrate its use. I could think of no better example of sousveillance-at-work than to show a short five minute clip taken by Mann himself in Downtown Toronto (fig. 10). In this clip you will note that Steve is exercising his civil rights and pointing out to the police officer on duty that there is a risk of someone getting electrocuted because cables are exposed to pedestrians on the sidewalk. The officer on duty rejects being a subject of Mann’s visual recording. He stops Steve as he is nearing him and exclaims: “Sir, you cannot take a picture!” To this Steve questions: “Oh. Why not?” Again, the officer exhorts Steve to stop recording. To this Steve replies- “Ok, I photograph my whole life, I always have…” To this the officer says: “I don’t want to be a part of your life through a photograph. Can you erase that photo please?” Steve does not have a chance to reply at this point and again the officer interjects growing in impatience: “Did you take a picture of me?” Steve replies: “I record my life.” Again the officer extorts: “Did you take a picture of me?” To this Steve makes a correction: “I’m recording video.” The officer interjects several times: “It’s a simple question, did you take a picture of me? Answer the question, yes or no.” Steve admits to taking footage and the officer replies: “Okay, I need you to erase that.” Steve provocatively then says: “Okay, I’ll need to call my lawyer then…” The officer is disgruntled at this point and tells Steve to call his lawyer and to give him his number. The officer continues by insisting: “Do you understand the ramifications of what is going to happen here? Don’t you realise what can happen here?” Steve tells the officer to fill out an incident report about what happened. Fig. 10. Code violation and physical assault. Courtesy of Steve Mann. Available Online: http://wearcam.org/password-66-450.htm (6 March 2009). A struggle over the camera occurs for a good thirty seconds with Steve refusing to let go of it… Steve reassures the officer that he is just recording his whole life. To this the officer replies: “I don’t care about your entire life.” At this point Steve wishes to seek assistance from another officer but he does not wish to do so by leaving his camera behind. Some thirty seconds later after trying to reason with Steve the officer says: “You don’t get it do you… you just don’t get it… What you have on this thing here is me, do you understand that?... Doing this job, I don’t want other people to know what I look like and what I do. Now, I don’t know where these pictures are going. They can get on the Internet, they can get somewhere like that and someone can recognise me. And I’ve got a family, and so then my family is in jeopardy. That’s what I’m telling you.” At this point of the exchange, Steve points to the film set camera to try to explain why he is recording. The officer again retorts: “I don’t care about that camera, I care about this thing pointed at my face.” Steve continues to try to convince the officer about the danger of the film set wiring and that he needs the recording for evidence. He suggests going to the police station with the officer but still this does not appease the officer who by this stage is bewildered: “You just don’t get it do you, you don’t, because if you did there wouldn’t be a problem.” To this Steve replies, “I get it… I’ve been recording my life for 20 years.” Again, the officer is adamant: “I’m not a part of your life.” Steve replies, “Well everything that I pass is a part of my life.” The struggle continues and Steve is asked if he has been in trouble with the police before and whether or not he is on any medication. There is no resolution. Steve is hurt in the incident. One week prior to this he had been electrocuted by an above-ground cable exposure in a similar context while a crew was filming at as nearby locale. This is not the first time that Mann has been the subject of investigation. On a return flight from the United States to Canada, Mann was required by security guards to turn his machine on and off and put it through the X-ray machine while they tugged on his wires and electrodes. The New York Times reported: “the guards took him to a private room for a strip-search in which, he said, the electrodes were torn from his skin, causing bleeding, and several pieces of equipment were strewn about the room” (Guernsey, 2002). Mann was quoted as saying: “We have to make sure we don't go into a police state where travel becomes impossible for certain individuals.” At the time, Mann described suffering as a result from the sudden detachment of technology he had worn for decades. This encounter, and others like it, cut to the core of the implications of sousveillance but also about its everyday role. When we asked Steve what we would do if participants in our glogger assessment were questioned about why they were recording others without their permission, Steve pointed us to his Request for Deletion (RFD) page (Mann, 2009). This is admittedly only a part of the solution. In the future off-the-shelf products might exist to blank out the images of people and car number plates in everyday films, just like in the realm of Google StreetView but for now this is a real issue, as seen in the encounter with the Toronto police officer. No matter how one looks at it however, the increasing use of in-car video recording cameras by law enforcement, business and civilian vehicles, helmet mounted cameras used by motorbike riders, cyclists and extreme sportsmen, roads and traffic authority cameras, embedded cameras in apparatus (e.g. cricket stumps, tazer guns) and the like, mean that through the adoption of sousveillance techniques, the average citizen can reclaim at least some of that asymmetry they have lost. Steve’s RFD approach acknowledges however, that an opt-out approach is much more realistic than an opt-in approach. Expecting everyone in my field of view (FOW) to sign a consent form allowing me to film them because I decide to walk the streets wearing a camera is just impossible. But deleting an image or film based on an individual request can be satisfied although it may not always be practical. · To whom the footage will belong. These questions are particularly pertinent in the insurance industry- in-car video recording is now widely commercialised (fig. 11). Wearables that record like Helmet Cams are becoming plentiful, widely used in the military, extreme sports, the mining sector, and film industry. And we now even have Taser cams, perhaps predated by the stump cam in the game of cricket over a decade ago. Some of these devices, e.g. 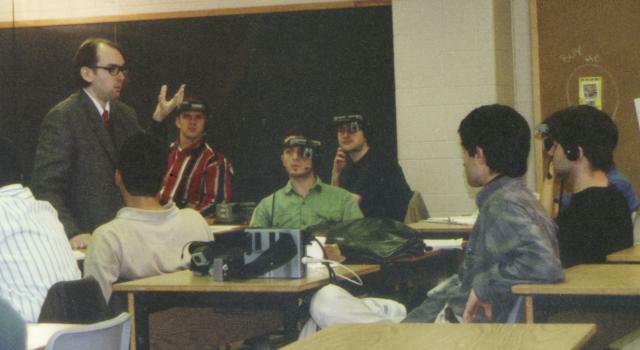 audio listening spy glasses, are even marketed to minors through school book clubs (fig. 12). This raises some interesting questions about how devices used for sousveillance might be misused contra to law in a given jurisdiction. Offences may in fact be committed based on the current law but the law is not yet being enforced to curb activities related to sousveillance. On the other hand, point of view technologies more broadly may even be misused in a stalking capacity or other voyeuristic manner. See for instance, online games marketed to minors that require a webcam to be switched on for play (fig. 13). There are also purported borderline cases where a camera is worn by an individual who decides to take footage in a store owned by another person. While it is not a private setting per se, the store owner may not wish for his/her goods and services to be filmed. What are the rights of individuals in public spaces when it comes to private activities? How do we go about a framework for the analysis of any type of surveillance (Clarke, 2012a)? Fig. 11. Autovision Mobile Media Van in New South Wales, specialising in in-car vehicle tracking, navigation and recording solutions. Courtesy of Katina Michael. See attached. Fig. 12. Spy glasses plus book marketed to 8+ years olds. Listen to conversations up to 4 metres away. Courtesy of Katina Michael. Fig. 13. “Angelina Balerina” online dancing game that requires the use of a webcam. Courtesy of Katina Michael. The reality is that those supplying point of view (POV) equipment, some specialising in spy equipment, have undergone a massive uptake in demand. This surge is witnessed by the number of organisations that are now dealing in this kind of covert and overt new media and franchising of some of these companies. The statistics indicate that many citizens are now taking matters into their own hands and most probably at the expense of existing legislation to do with Surveillance Devices and Listening Devices Acts. In addition, members of the police force are acquiring their own technology for safety related reasons and incidence/complaint handling in an attempt to reduce the on the job stress they undergo on a daily basis. In Australia, there were accounts of police officers some 7 years ago, purchasing video camera units and using Velcro to place these cameras in police wagons that had not come equipped with high tech gadgetry to film roadside incidences. But today we are talking about new camera kits that are just not used for in-car recording but for body-worn recording by the police. Police today may wear helmet cams, ear cams, chest cams with audio capability, GPS locators, taser cams etc. But how much evidence gathering is too much? In the last 12 months we have seen several riots take place- e.g. the Vancouver Riots and the London Riots. For the first time crowdsourced surveillance played second fiddle to crowdsourced sousveillance. The police called for footage to be submitted for use in convicting rioters for crimes committed. So many thousands of minutes were presented to the police- above and beyond footage they had taken. One could consider cross-correlation of sorts taking place. It is predicted however that with time, crowdsourced surveillance will overwhelm the limited resources employed by the police to look at such video evidence- in many cases potentially thousands of hours worth- Professor Andrew Goldsmith of the Centre for Transnational Crime Prevention at the University of Wollongong, has written about this new visibility with respect to the Tomlinson case. It is the commentator’s opinion, as recently recorded in a special guest edited issue of the Journal of Location Based Services (Michael and Michael, 2011), that the police will be moving away from intelligent led policing and toward an IT led policing in near real-time, if not real-time. It will be the ability by the police to say that if you are currently in a zone of public disturbance, or riot, that access to real-time engineering information will be used to denote your location. Additional smartphone modalities will then be harnessed to ascertain whether or not you are a potential perpetrator- for instance accelerometer information that can denote whether you are going up or down stairs or jolting around smashing windows. To borrow from Roger Clarke, this is a form of dataveillance “on the move” (Clarke, 2009). No doubt this kind of scenario will mean that momentarily people will decide to live off the grid- leave their mobiles behind- or use mobiles on secure and secret platforms like the Blackberry device. But it is exactly this type of scenario that may herald in the age of uberveillance- a tiny onboard implant that is injected into the translucent layer of the skin, and records everything as it sees it… implants cannot be left behind… implants are always with you… and implants allegedly do not allow for tampering… the iplant as we have termed it, might well be that singularity we have all been waiting for- an end to the perception of perjury. The pitfalls with POV, no matter how many cameras are recording, and no matter from how many perspectives and stakeholders, is that visual evidence has limitations. What is a whole incident? How can we denote past provocation or historical data not available during a given scene? How can we ensure that data on mobile transmission has not been intercepted? How can we ensure data validation? We might well be on another road similar to that of DNA as admissible evidence in a court of law in terms of ewitness recording of events. The key question to ask here is whether or not we can ever achieve “omniscience” through the use of apparently omnipresent” new media? Bradwell, J. (2012). Security workshop bring ‘sousveillance’ under the lens. University of Wollongong: News and Media, http://media.uow.edu.au/news/UOW120478.html?referer=http%3A%2F%2Fworks.bepress.com%2Fkmichael%2F256%2F (6 March 2012). Clarke, R. (2009). Roger Clarke’s Dataveillance and Information Privacy Home-Page. Rogerclarke.com. Available Online: http://www.rogerclarke.com/DV/ (15 February 2009). Clarke, R. (2012a). Point-of-View Surveillance. Rogerclarke.com. Available Online: http://www.rogerclarke.com/DV/PoVS.html (19 March 2012). Clarke, R. (2012b). Sousveillance banned in WA. 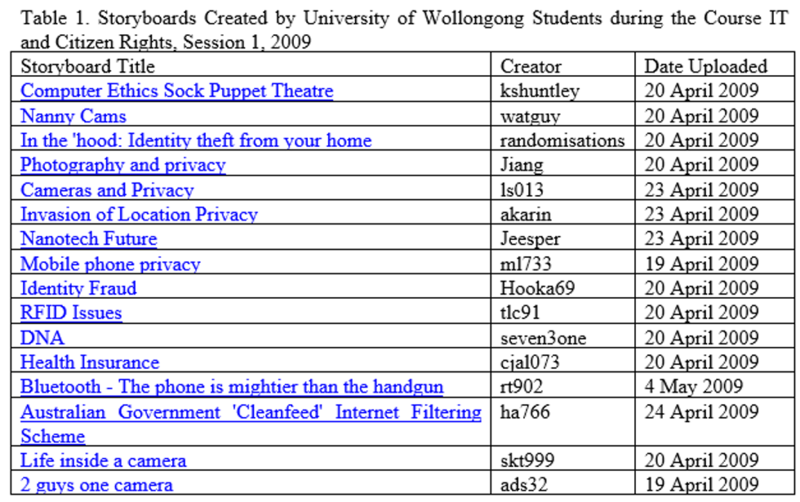 Privacy-List privacy@lists.efa.org.au (18 March 2012). Guernsey, L. (2002). At Airport Gate, a Cyborg Unplugged. The New York Times. Available Online: http://www.nytimes.com/2002/03/14/technology/at-airport-gate-a-cyborg-unplugged.html (14 March 2002). Leonardo (2009). The Leonardo Awards Program: Award Recipients. Leonardo. Available Online: http://leonardo.info/isast/awardwinners.html (26 August 2009). Mann, S. (1995). Wearcam.org as roving reporter; (c) Steve Mann, Feb. 1995. Wearcam.org. Available Online: http://wearcam.org/eastcampusfire.html (17 March 2009). Mann, S. (1998). Personal Cybernetics and Intelligent Imaging Systems.Wearcam.org. Available Online http://wearcam.org/ece516/ (18 March 2012). Mann, S. (1998). Humanistic Intelligence: WearComp as a new framework for Intelligent Signal Processing. Proceedings of the IEEE. 86 (11) 2123-2151. Available Online: http://hi.eecg.toronto.edu/hi/index.html (8 January 1998). Mann, S. (2001). Can Humans Being Clerks make Clerks be Human? - Exploring the Fundamental Difference between UbiComp and WearComp . Informationstechnik und Technische Informatik, 43 (2), 97-106. Available Online: http://wearcam.org/itti/itti.htm (2012). Mann, S. (2003). Existential Technology. Leonardo. 36 (1), 19-25. Available Online: http://leonardo.info/isast/articles/Leo36-1_mann.pdf (2003). Mann, S. (2006). 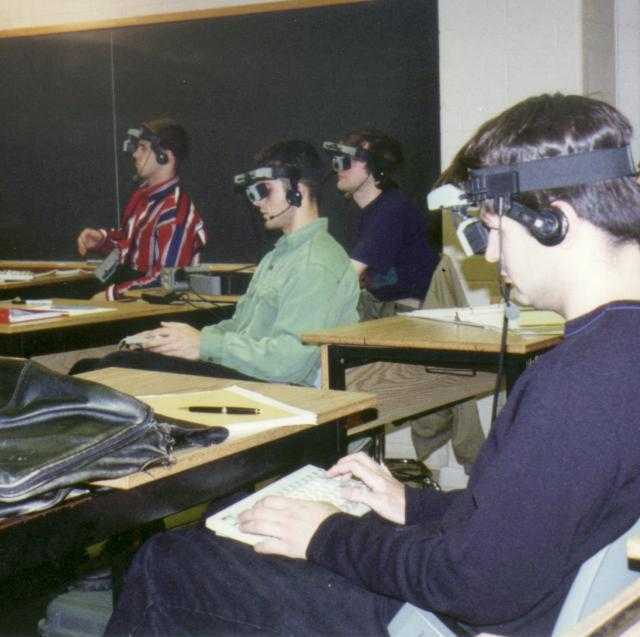 Learning By Being: Thirty Years of Cyborg Existemology. Learning by Being: Thirty Years of Cyborg Existemology. The International Handbook of Virtual Learning Environments. 1571-1592. Available Online: http://wearcam.org/existed/existed.pdf (18 March 2012). Mann, S. (2009). Form 698 - Request for Deletion (RFD). Wearcam.org. http://wearcam.org/rfd.htm (19 March 2012). Mann, S. (2010). Steve Mann On Cyborg Living and Virtual Reality. Singularity Summit: San Francisco. Available Online: http://www.youtube.com/watch?v=jY2m5Ru1Fm4 (31 August 2010). Michael, K. and Michael, M.G. (2009). Innovative Automatic Identification and Location-Based Services: from bar codes to chip implants. New York: Information Science Reference. Michael, K. (2011).Event Report: The IEEE Symposium on Technology and Society 2010 (7-10 June): The Social Implications of Emerging Technologies. Journal of Cases on Information Technology. 13 (2), 80-87. Available Online: http://www.igi-global.com/Files/Ancillary/10.4018_jcit.2011040106.pdf (2011). Michael, K. and Michael, M.G. (2011). The social and behavioural implications of location-based services. Journal of Location Based Services. 5 (3-4), 121-137. Available Online: http://www.tandfonline.com/doi/pdf/10.1080/17489725.2011.642820 (18 March 2012). Michael, K. and Michael, M.G. (2012). Program: Sousveillance and the Social Implications of Point of View Technologies in the Law Enforcement Sector. Sixth Workshop on the Social Implications of National Security. Sydney, NSW, Australia. Available Online: http://works.bepress.com/cgi/viewcontent.cgi?article=1290&context=kmichael (22 May 2012). PCMag (2009). Definition of Glogger. PCMag.com. Available Online: http://www.pcmag.com/encyclopedia_term/0,2542,t=glogger&i=59866,00.asp (2012). Quillian, K. (2004). 2004 Leonardo Award for Excellence Given to Steve Mann. Rhizome. Available Online: http://rhizome.org/discuss/view/15557/ (7 December 2004). Shachtman, N. (2003). A Spy Machine of DARPA's Dreams. Wired: Tech Biz|Media. Available Online: http://www.wired.com/techbiz/media/news/2003/05/58909?currentPage=all (20 May 2003). Spence, R. (2008). Tiny Camera oh my! Eyeborg. http://eyeborg.blogspot.com.au/2008/11/tiny-camera-oh-my.html (25 November 2008). UOW (2010). ISTAS 2010. University of Wollongong. Available Online: http://www.uow.edu.au/conferences/2010/ISTAS/index.html (20 January 2011). WA (1998). Surveillance Devices Act 1998 – Sect 6 Available Online: http://www.austlii.edu.au/au/legis/wa/consol_act/sda1998210/s6.html (18 March 2012).